Iowa 's Luka Garza (55) dunks over Michigan forward Isaiah Livers during the Hawkeyes' 74-59 victory last week. Garza scored 19 points in the game and is averaging 21.7 points over the past five games. Ryan Kriener celebrates with fans after Iowa's 74-59 victory over Michigan on Friday. The game attracted the Hawkeyes' first — and perhaps only — sellout crowd of the season. 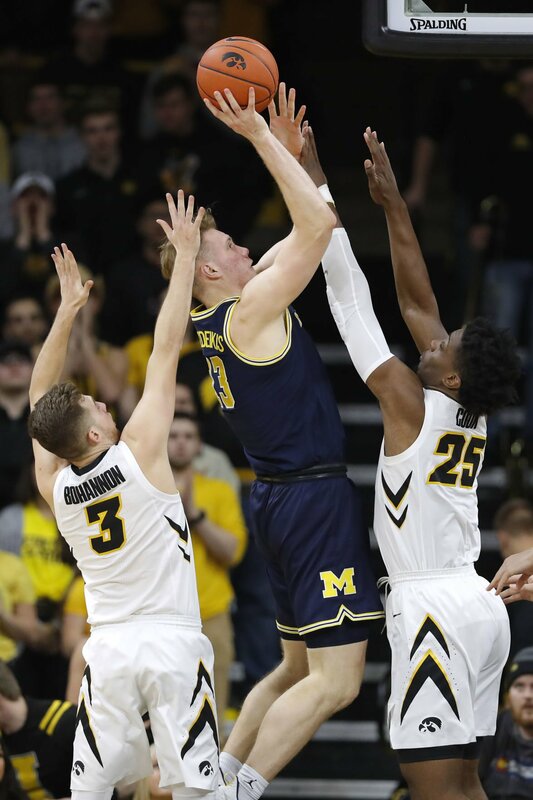 Iowa forward Luka Garza (55) celebrates near Michigan forward Colin Castleton, right, at the end of Iowa's upset Friday. 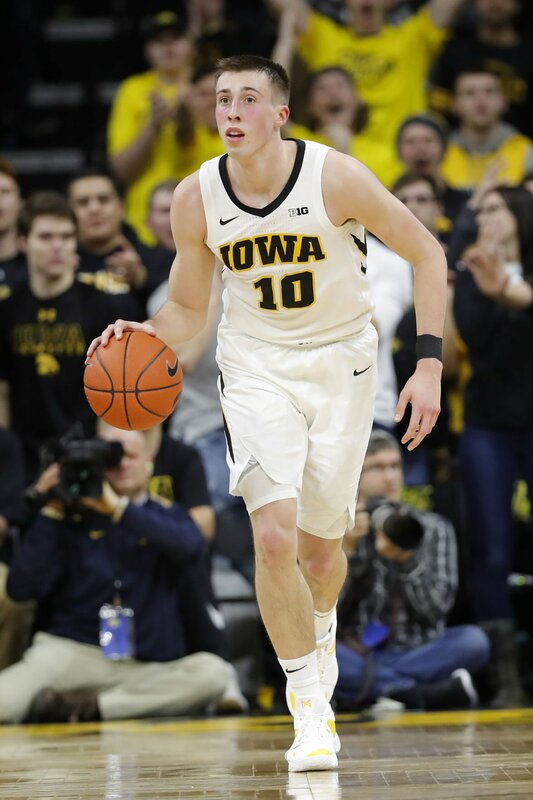 Garza scored 19 points as Iowa won 74-59. Iowa guard Jordan Bohannon, left, fights for a loose ball with Michigan's Zavier Simpson during the first half of a Feb. 1 game. IOWA CITY — His confidence was shaken. He was visibly frustrated. He was in one of those ruts.